April 13, 2019 - Like us now! • Specially for those who want to accelerate their business in terms of operations and scale them up locally as well as internationally. The successful series of these accelerated boot camps, will be held at National Incubation Center, Islamabad on 18th, 19th and 20th April 2019. This accelerated bootcamp is a venture made possible by Impact Dynamics, an enterprise that creates and curates curriculum for entrepreneurs and runs workshops centered around tech and soft skills, in collaboration with Daastan, a literary forum whose mission is to revive, revamp, and run the Literary Industry of developing Pakistan and is being powered by the US Department of State. The participation of this accelerated boot camp is free to attend for the selected female entrepreneurs after a comprehensive selection criterion and is scheduled to happen on 18th, 19th and 20th April 2019. The team had just closed accepting the registrations for the upcoming event, a short-listing process is now taking place on a set criterion to nominate the final attendees for the boot camp. 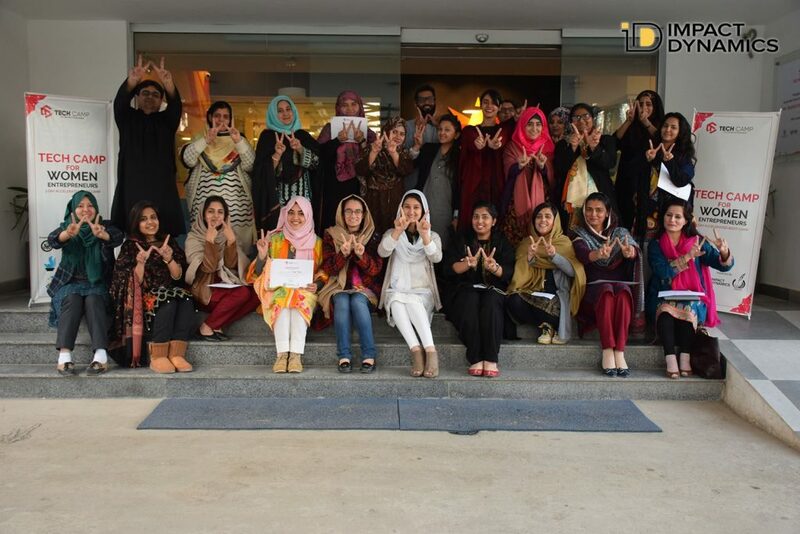 The team behind the boot camp had successfully conducted the training in Peshawar back in January this year. The training sessions will focus on Pitching, Growth Hacking, Social Listening, Creating visual designs by using Adobe Photoshop, Social Media Marketing Hacks, Digital Storytelling, The strategies for content building, The technicalities of low-budget quality photography, hacks of the visual designs, the usage of Google Tools and Technology and a lot more. Aspirants can also follow the Facebook page of the event to stay updated with the happenings of the event.